When you get your paycheck, you probably notice that the amount of your check doesn’t equal your hourly rate times the number of hours you worked because of various paycheck deductions. These include income taxes and payroll taxes. However, the amount withheld depends on the number of allowances you claim on your Form W-4, but there are rules for how to calculate the allowances you can claim. Complete the worksheet for Form W-4 to determine how many allowances you should claim on your taxes. If you're not entitled to claim any allowances, you should claim zero, but if you're entitled to one allowance, such as if you claim yourself as a dependent, you can claim zero or one – one if you want less withheld from your paycheck or zero if you want a larger refund at the end of the year. You might not realize it, but you’re required to pay your taxes throughout the year, rather than making one big payment at the end of the year. If you’re thinking that isn’t a requirement because you’ve never written a check to the IRS during the year and haven't yet been penalized, it’s because you satisfy your tax obligations through income tax withholding from your paycheck. To avoid being hit with interest and penalties, you must meet one of the tax payment safe harbors outlined in the tax code. But, if you claim too few allowances, you’ll have too much withheld during the year. While you’ll receive all the excess withholding back when you file your taxes, you’re effectively loaning the money to the government during the year interest-free. If you owe less than $1,000 when you file your taxes, you won’t owe any interest or penalties. You also avoid interest and penalties as long as your withholding totals at least 90 percent of what you owe for the current tax year. For example, if your tax bill this year ends up being $7,750, you would need to have at least $6,975 in withholding during the year to meet a safe harbor. You would still owe the difference when you file your taxes, but you won’t owe any additional interest or penalties. Another safe harbor allows you to avoid interest and penalties based on your prior year’s tax liability. The IRS recognizes that income can vary from year to year, and offers a way to avoid interest and penalties if your income unexpectedly spikes. To qualify, your withholding must equal at least 100 percent of what you owed in taxes the prior year if your adjusted gross income was $150,000 or less ($75,000 or less if married filing separately). For example, if last year you owed $8,000 in taxes, you avoid interest and penalties if your withholding this year is at least $8,000, regardless of how much you owe. If you are what the IRS considers a “higher income taxpayer,” meaning your adjusted gross income was more than $150,000 (or $75,000 if married filing separately), your withholding must equal or exceed 110 percent of what you owed the prior year to meet a safe harbor for avoiding interest and penalties. For example, if your adjusted gross income last year was $250,000 and you owed $30,000 in taxes, you would need to pay in at least $33,000 to avoid interest and penalties. To determine how much to withhold from each paycheck, your employer uses a formula that accounts for how much you make each pay period, how often you’re paid, your filing status, and the number of W-4 allowances you claim. Each allowance that you claim reduces how much of your paycheck is counted when calculating tax withholding. For the 2018 year, each allowance you claim reduces your income subject to withholding by $4,150 over the course of the year. That amount is spread over the year based on how often you’re paid. For example, if you’re paid weekly, each allowance reduces the amount of your paycheck subject to withholding by $79.80, but if you’re paid biweekly, the value of each allowance increases to $159.62. So, if you claim one allowance and your weekly paycheck is $779.80, only $700 will be counted when determining your income tax withholding. But, if you claim zero allowances on your Form W-4, your entire $779.80 paycheck will be counted when your employer determines how much to withhold. However, it’s important to remember that your allowances only reduce your tax withholding – not your actual income tax. Claiming too many exemptions might seem like a good idea in the short term because your take-home pay will be larger, but you could end up with a hefty tax bill when you file your taxes, plus additional interest and penalties. In addition to the number of allowances, your Form W-4 also tells your employer which filing status to use. Your filing status matters because married couples filing jointly have wider tax brackets that generally result in a lower overall tax liability at the end of the year. If you’re single, you only have one option for your filing status – you must select the single option. But, if you’re married, you can opt for the lower withholding married rate or the higher single rate. If you are married but plan to file separate returns, consider selecting the single rate to better reflect what you’ll actually owe. Alternatively, you might also want to use the married but withhold at the higher single rate option if you prefer to have extra withheld during the year so you receive a larger tax refund. When it comes to determining how many allowances you should claim on your Form W-4, the form itself has several worksheets that you can use to determine the best number of allowances to claim. The most straightforward worksheet is the Personal Allowances Worksheet, which helps you calculate your allowances based on your filing status, how many jobs you work, and the children and other dependents that might lower your tax bill. For more complex situations, the Form W-4 has two additional worksheets that can help you figure a more accurate amount of allowances to claim. 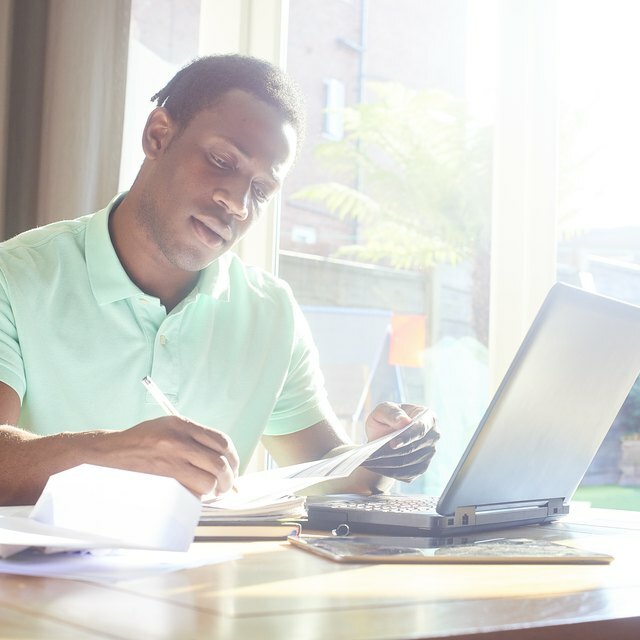 The Deductions, Adjustments, and Additional Income Worksheet allows you to account for outside income that might not be subject to withholding, such as investments or self-employment income, as well as additional deductions and credits you might be eligible to claim when you file your tax return. For example, if you have a side job where you are paid as an independent contractor, that income could boost the amount that you need to have paid in during the year through estimated tax payments. If you don’t have extra withheld by claiming fewer allowances, you may need to make quarterly estimated tax payments to ensure you don’t owe interest or penalties. On the other hand, if you have significant tax deductions, like student loan interest, traditional IRA contributions, charitable contributions, mortgage interest, and state and local taxes, you might be entitled to claim additional allowances than the Personal Allowances Worksheet would otherwise suggest. If you only claimed the lower number of allowances, such as zero or one, you could have too much withheld during the year. If you work multiple jobs, or if you’re married and your spouse also works, you need to consider how many allowances you are claiming on each Form W-4. To help you get the most accurate withholding, use the Two-Earners/Multiple Jobs Worksheet. This worksheet is specifically designed to calculate the total number of allowances you should claim across all your jobs and your spouse’s jobs. Typically, it’s best to claim all the allowances on the highest-paying job and then claim zero allowances on the Form W-4s for your remaining jobs. If you have too little withheld from your paychecks during the year, you’ll owe interest and late payment penalties based on the shortfall. On top of that, you could also face a $500 penalty if the IRS determines that you claimed allowances you had no reasonable basis for claiming on your Form W-4. For example, if you claimed eight allowances because you wanted to reduce your tax withholding, but then ended up having too little withheld for income taxes and you couldn’t show your basis for claiming so many allowances, you could owe the penalty. In limited circumstances, the tax code gives the IRS the discretion to waive the underpayment penalty. For example, if a natural disaster or other casualty event makes it unfair to impose the penalty, the IRS can waive it. The IRS can also waive the penalty if the underpayment occurred during a year or the year immediately after you retired and were at least age 62 or became disabled and you had a reasonable cause for not making the correct amount of estimated payments and tax withholding. Just because you filled out your Form W-4 when you started working doesn’t mean you don’t need to update it from time to time. After major life events, such as getting married or divorced, having a child, a child becoming an adult, or taking on a new job or side gig, you should review the information you provided and update it if needed to make sure the total number of allowances you are claiming is still correct. In addition, if there are major revisions to tax laws, you should review your Form W-4 to make sure that your tax withholding is still accurate for the new changes. You can submit a new Form W-4 to your employer whenever you want. After you submit the new form, your employer must put the new withholding into effect no later than the start of the first payroll period ending on or after the 30th day from the date you submitted the revised Form W-4. The company could be more efficient and start using the new information sooner, but that’s the longest it can take to update your income tax withholding information. Payroll taxes include the Social Security tax and the Medicare tax. These taxes only apply to earned income, like your wages and salaries, but not investment income. In addition, these taxes aren’t affected by the same deductions as federal income taxes, so the amounts withheld aren’t affected by the allowances you claim or the filing status you select on your Form W-4. Instead, Social Security taxes are withheld at a rate of 6.2 percent and Medicare taxes are withheld at a rate of 1.45 percent, and your employer pays an equal amount on your behalf. The Medicare tax is withheld from your entire paycheck, regardless of how much money you make at your job. The Social Security tax, on the other hand, only applies to a certain amount of income each year, known as the contribution and benefit base. Any income over that amount isn’t subject to Social Security taxes. As of 2018, the contribution and benefit base is $128,400 but it's adjusted annually for inflation.